Our goal is to provide the highest quality landscape services, at a fair price. We believe a quality team is a critical element to our success. Call us today! 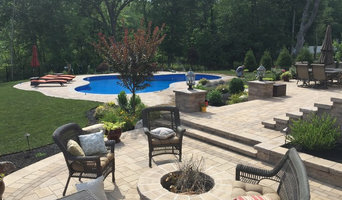 DLTC Landscape Contractors was founded by Jonathan Sweeney in 1983 with the intent of providing high quality, reliable landscape services to residential and commercial customers in Southwestern Connecticut. Our investment in a fully-trained, professional staff and crew, and our stock of the best tools, vehicles and equipment available has created a roster of extremely satisfied clients. DLTC excels at landscape design and installation, including masonry, grading and drainage work, large-scale plantings, and lighting. Our broad spectrum of maintenance services encompasses all aspects of lawn and plant care, seasonal and special event grooming, and snow removal. At DLTC, our merit lies in our commitment to producing work that exceeds our own high standards, and our clients'. 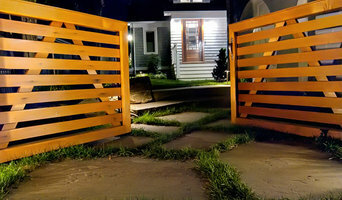 Maher & Greenwald is a Landscape Design and Garden Architecture company. We are designers of private residences, public gardens and commercial properties throughout Fairfield and Westchester Counties as well as the Hudson Valley. Design & Maintenance We specialize in overall site planning and hands-on garden design, installation and restoration. We also offer expert Maintenance Services on gardens we've designed as well as existing gardens and landscapes. Our specially-trained crews are gardeners who know plants, shrubs and trees and how to properly care for them. Landscape & Hardscape As a Design-Build firm we work closely with our Clients, Architects and Engineers in siting houses and installing and developing all aspects of Landscape and Hardscape. Our hardscape work includes everything from drive and tennis courts, to pools, patios and ponds. 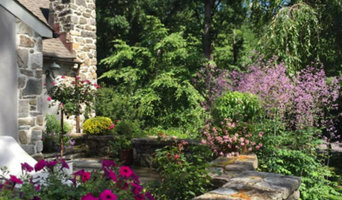 Gardens As a Garden Design company we specialize in perennial gardens, shade gardens and woodland borders, organic vegetable gardens and naturalized areas such as wet gardens and wildflower meadows. We work closely with our Clients in creating beautiful spaces to suit their personal needs and desires. We also do seasonal bulb plantings and containers. Not gifted with garden tools? Professional Trumbull landscaping companies are your best bet to get lush, lovely grounds year round. Hire a landscaper to create and maintain a beautiful yard that complements your home and blends into its native setting. From soil, grasses and plants to decks, walkways and patios, Trumbull landscape contractors are well versed in the components that make up a functional and visually pleasing outdoor living space. Learn more about how a landscaping company in Trumbull, CT can help you with your yard below. What does a Trumbull landscape contractor do? Landscaping contractors execute lawn, garden and hardscaping plans that have been drawn up by an architect or designer. They may also provide design services on their own. After the everything has been installed, landscape companies can make adjustments, maintain plantings, take care of weeds and pests, and perform other tasks to keep the scheme looking its best. A licensed Connecticut landscaper should have detailed knowledge of Trumbull, CT weather and climate trends and conditions, and can choose plants and materials that are well suited to the area. Residential landscape companies in Trumbull, CT also handle many of the same general duties as builders, including arranging for construction permits, hiring subcontractors and making sure that designs comply with Connecticut building codes. Find Trumbull landscaping services on Houzz. Narrow your search in the Professionals section of the website to Trumbull, CT landscape contractors. You may also look through photos of Connecticut landscapes to find one you like, then contact the landscaping company in Trumbull, CT who worked on it.